Montreal, April 5, 2016 – During the annual meeting of the American College of Cardiology (ACC) in Chicago, a researcher from the Montreal Heart Institute (MHI) presented the results of a phase II clinical study demonstrating the safety of the PulmoBind biomarker and the ability of the PulmoBind tomography (SPECT) scan to clearly show abnormal results in patients with pulmonary hypertension. The work of the team headed by Dr. Jocelyn Dupuis has led to the development of the first safe, sensitive and non-invasive molecular imaging agent designed for early diagnosis and monitoring of pulmonary hypertension. Dr. Dupuis was able to demonstrate that PulmoBind could replace the tests currently used in clinical trials to establish an early diagnosis and monitor treatment efficacy.“ This breakthrough brings great hope to patients with pulmonary hypertension because of the life-changing impact of benefiting from earlier treatment,” says principal investigator, Dr. Jocelyn Dupuis. Pulmonary hypertension (PH) is a common, potentially life-threatening disease characterized by a progressive narrowing of the blood vessels in the lungs. It causes a gradual increase in shortness of breath, which leads to significant disability. 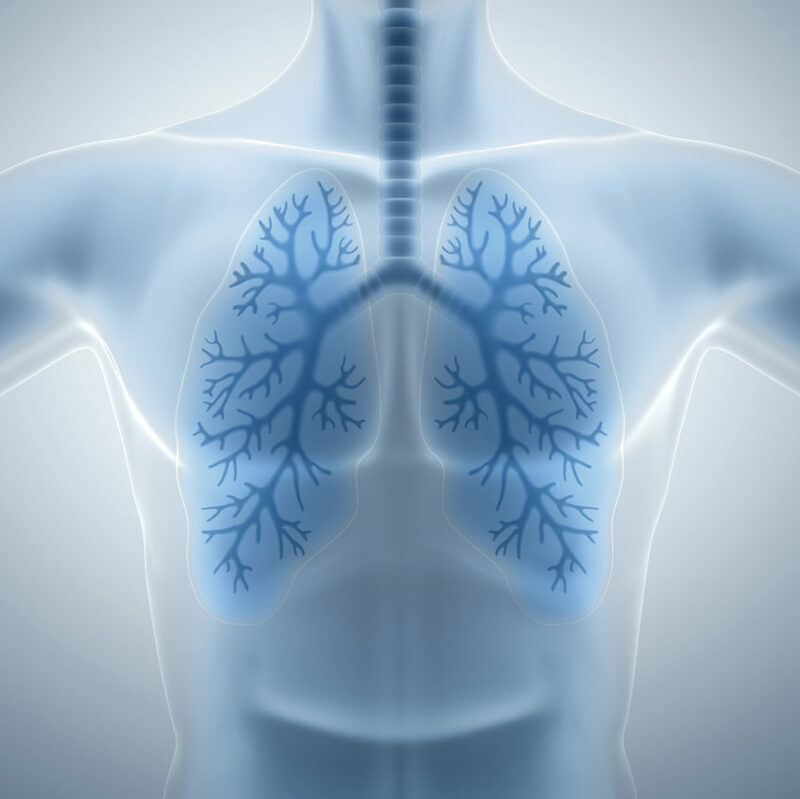 There is currently no cure for pulmonary hypertension, and the development of effective medication is complicated by the lack of non-invasive tests that can screen for the disease at an early stage and monitor its progression. That is why this discovery gives so much hope to people with this disease. “I wish to express my gratitude to CQDM for believing in our project’s potential from the outset. Its clinical progress would not have been possible without their substantial financing of $2.8 M,” added Dr. Dupuis. PulmoBind is a new radiopharmaceutical product developed jointly by Dr. François Harel from the MHI’s Nuclear Medicine Department and Alain Fournier, PhD, a peptide chemist at INRS–Institut Armand-Frappier. “There is currently no equivalent to PulmoBind capable of performing a functional imaging of pulmonary circulation. We take pride in this product for which we carried out all stages of development, from the basic research to its human application. We were able to achieve this using the state-of-the-art equipment at the MHI’s Nuclear Medicine Department,” explains Dr. François Harel, nuclear cardiology specialist. CQDM is pleased with the results yielded by the project to date. “We are extremely proud to have supported this project from the very beginning. We also salute the contribution of mentor Michael Klimas from Merck in the development of a positron emission tomography (PET) imaging version of PulmoBind. Results are very impressive and point to a bright future,” said Diane Gosselin, CEO of CQDM. These results will lead to a phase III study extending three years and involving 350 patients across 10 centres in North America. Dr. Jocelyn Dupuis is available for interviews. Founded in 1954 by Dr. Paul David, the Montreal Heart Institute constantly aims for the highest standards of excellence in the cardiovascular field through its leadership in clinical and basic research, ultra-specialized care, professional training and prevention. It is part of the broad network of health excellence made up of Université de Montréal and its affiliated institutions. The Montreal Heart Institute ranks as the No. 1 research hospital in Canada for research intensity and research income per researcher, according to Research Infosource. CQDM is a pharma-based consortium active in early research whose mission is to fund the development of innovative tools and technologies to accelerate drug discovery. Its portfolio includes 50 outstanding research projects involving $40 M in funding. Among these, 16 have been successfully completed with a success rate of 90%. These projects are carried out by a network of 610 researchers across 68 research institutions in Canada. CQDM is supported by 9 leading pharmaceutical companies as well as the Government of Quebec and the Government of Canada. Information: www.cqdm.org. The mission of the Montreal Heart Institute Foundation is to raise and administer funds to support the Institute’s priority and innovative projects and help its fight against cardiovascular disease, the No. 1 cause of death worldwide. Since its creation in 1977, the Foundation has donated almost $200 million to the Montreal Heart Institute.